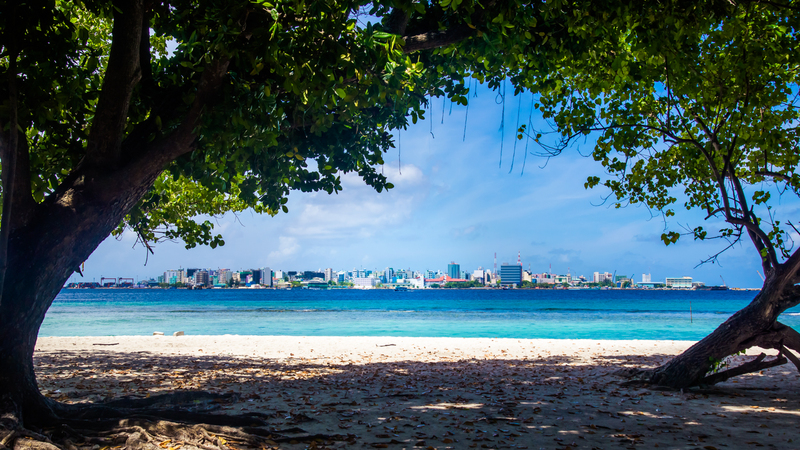 On the quiet side of the Maldives’ capital, Male, lies a well-kept secret. Hidden from the million plus visitors who land on Hulhule island each year, Villingili is the hidden gem of North Male atoll. Arriving on the island from the bursting capital city 7 minutes away, as the ferry’s engines idle and you glide past shaded restaurants into the harbour, your hearing takes time to adjust to the contrasting calm. Where raised voices and revved engines dominated your senses across the water, in the leafy suburb island the only raised voices are those of the cuckooing Koels up above, and the battery-powered buggies humming down the lanes. Historically an area of private recreation for sultans before a period as a prison island in the 1970s, Villingili became one of the Maldives’ first resorts before being incorporated (as Villimale) into the insatiable greater Male area in the 1990s. As the overflow from the teeming Male focuses largely on the artificial Hulhumale island to the north, savvy travellers and residents alike head west to enjoy the perfect hybrid of island and urban life in the Maldives. 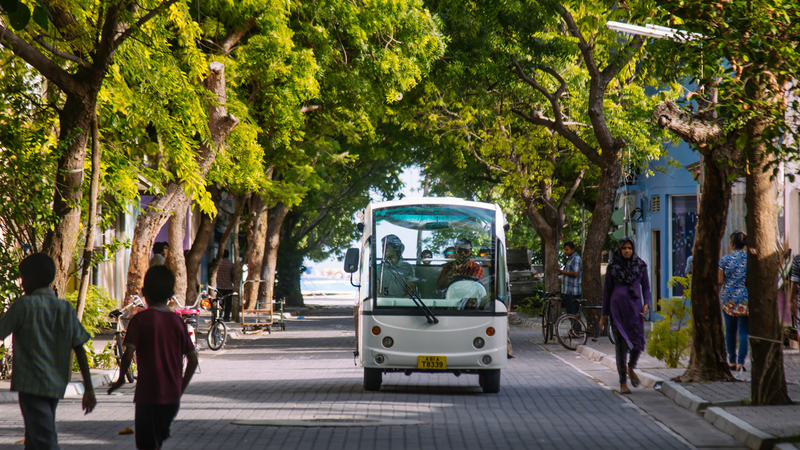 The embodiment of this character comes in the form of a fleet of electric buggies, recently introduced as the local transport network on an island that maintains its long-standing restriction on motorised vehicles. For five rufiyaa ($0.3), the buggies can take take you to any one of the three guest houses on the 0.26 square km island. But even during the heat of a Maldivian midday, Seahouse Topdeck hotel and the recently opened Villingili Inn are just a sandalled stroll from the ferry terminal. Further on, past towering palm trees and streets lined with netted joali chairs, the City King guest house sits on the western side of the island. Guests at all three sites can enjoy spacious air-conditioned rooms, wifi, television and private bathrooms. The largest of the three, Seahouse, also provides massage treatments. 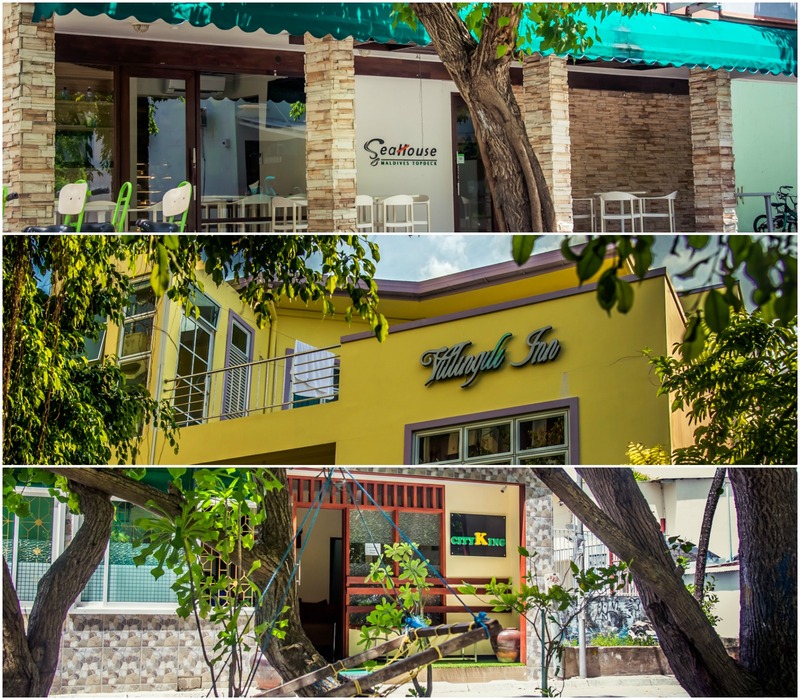 Seahouse and City King have cafe’s on site while visitors to the Villingili Inn can enjoy exclusive access to the nearby McRooster restaurant. Numerous canteen cafes scattered across the island offer local basics such as fish curry, devilled chicken, and afternoon savoury snacks known as short-eats. For striking views of the chaotic capital, however, Xie Xie restaurant and Marimba cafe are recommended, with the latter situated on the beach itself. On foot or by bicycle, the small island can be circumnavigated in the 15 minutes it takes to travel to the city and back. Villingili’s visitors can dive into Male’s maelstrom to see the heart of the modern Maldives before heading back to enjoy its spirit, reclining on swings let down from the sheltering trees and swimming in the clear blue waters. Alternatively, those looking for a little more action can take a trip to the opposite side of the island, where the team at Liquid Watersports will be happy to show you their backyard, providing a range of activities, including jetskis, windsurfing, and their signature speciality – flyboarding!! The underwater delights of the atoll are easily accessible from Villingili, with the experienced team at the Diver’s Lodge offering the aquatic experiences to divers of all levels. The country’s first whale submarine company also operates from the channel between Male and its sleepy neighbour, providing a unique trip around the reefs and channels in air-conditioned comfort. In addition to this, the island’s guest houses are happy to arrange snorkelling, fishing and local island visits, while day trips to one of the many nearby single-island resorts can easily be arranged. Visitors to Villingili will feel that they have stumbled upon an unexplored treasure island, and in many ways they have. Maintaining island calm in the shadow of the world’s most densely populated island is some achievement, and those choosing to stay in Villingili will feel the rewards.